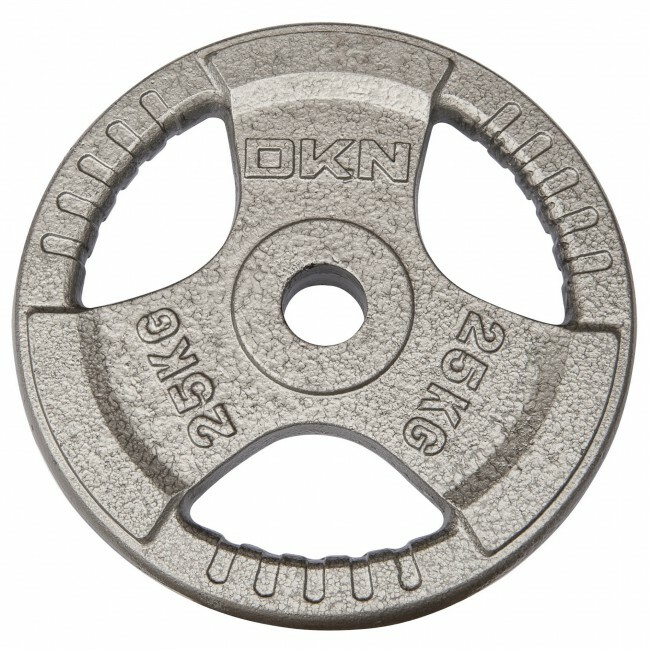 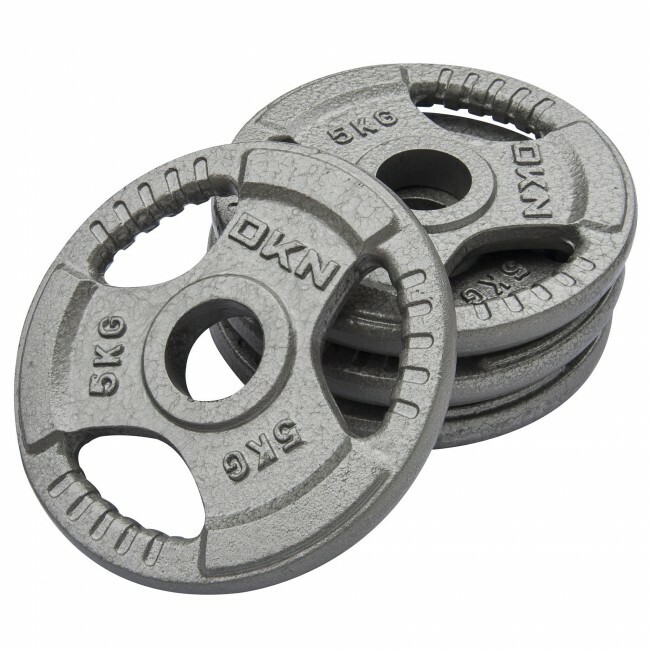 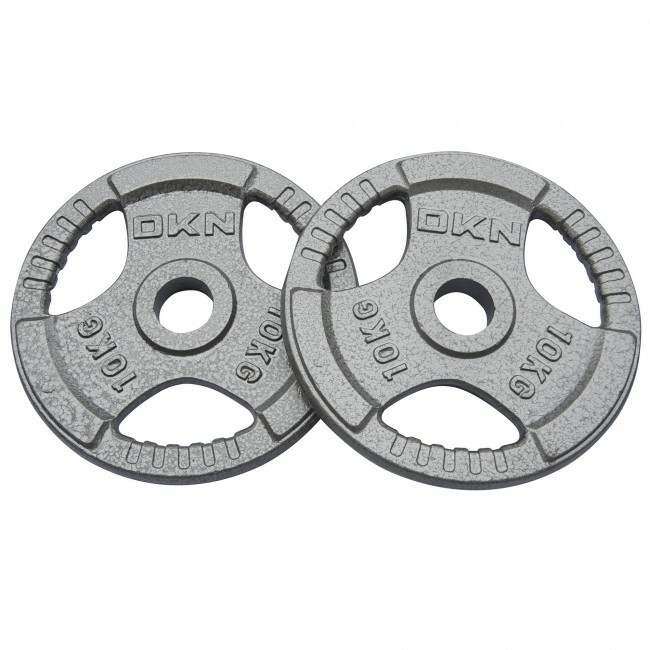 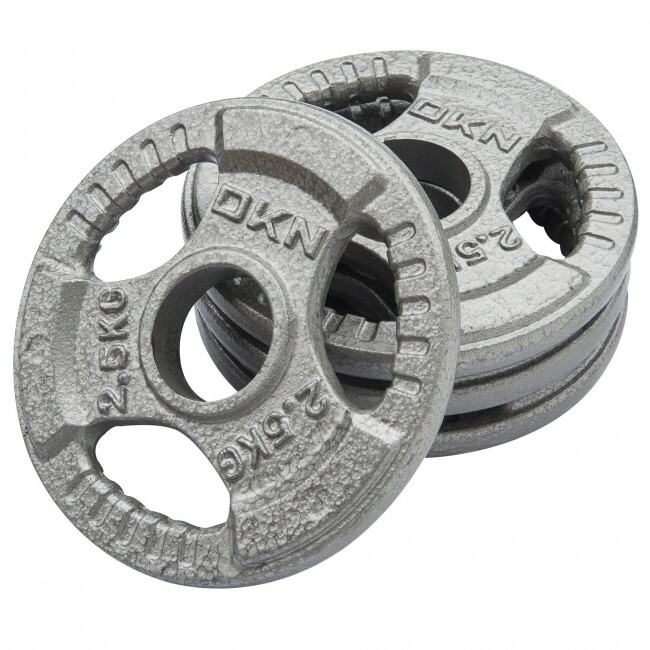 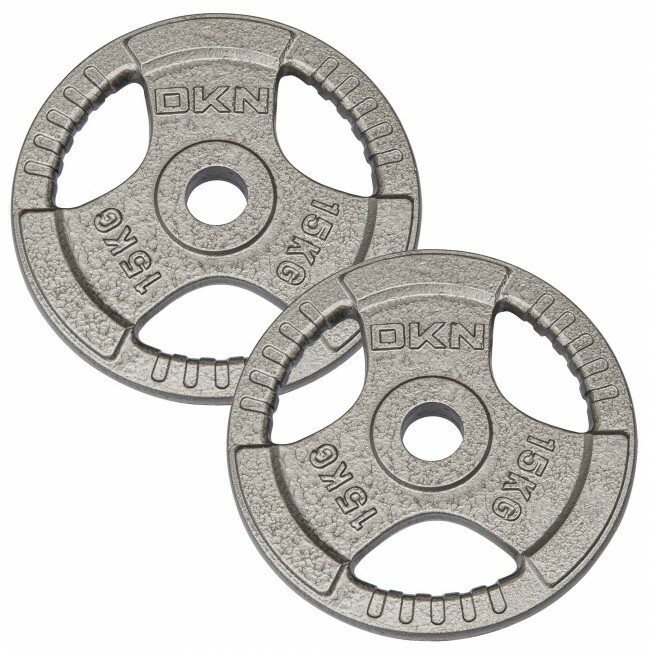 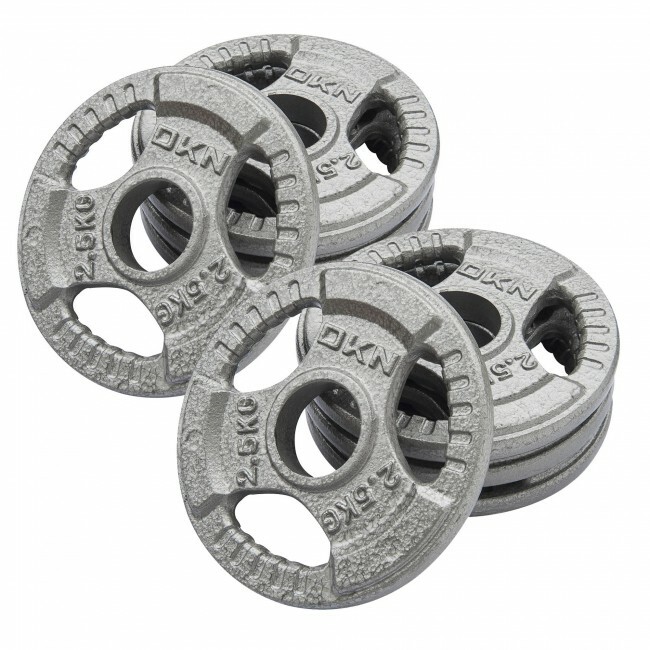 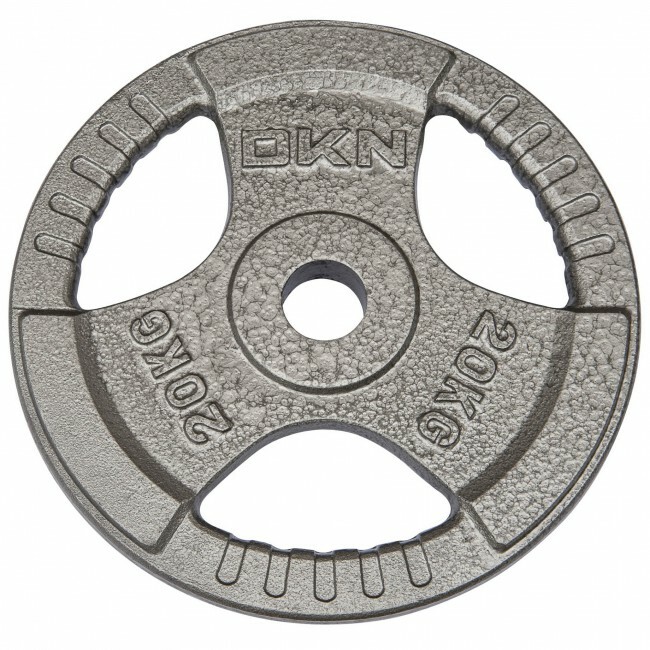 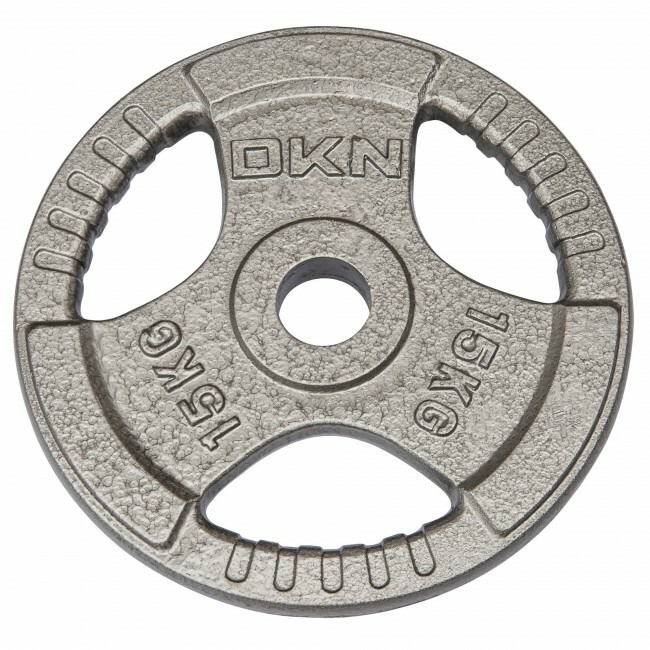 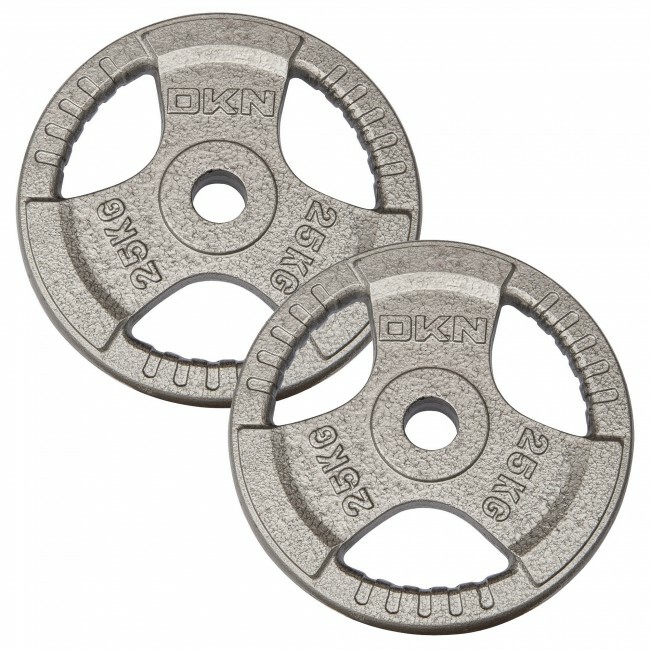 The weight plates are made from solid cast iron and compatible with all Olympic (2 inch / 5cm) diameter bars. 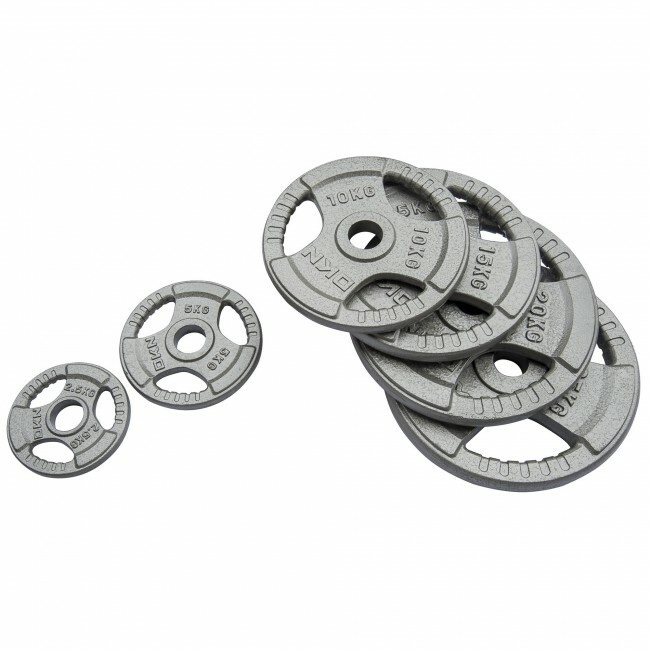 Each of them has a hammertone painted finish for improved durability and comes with the weight of the individual plate embossed on it. 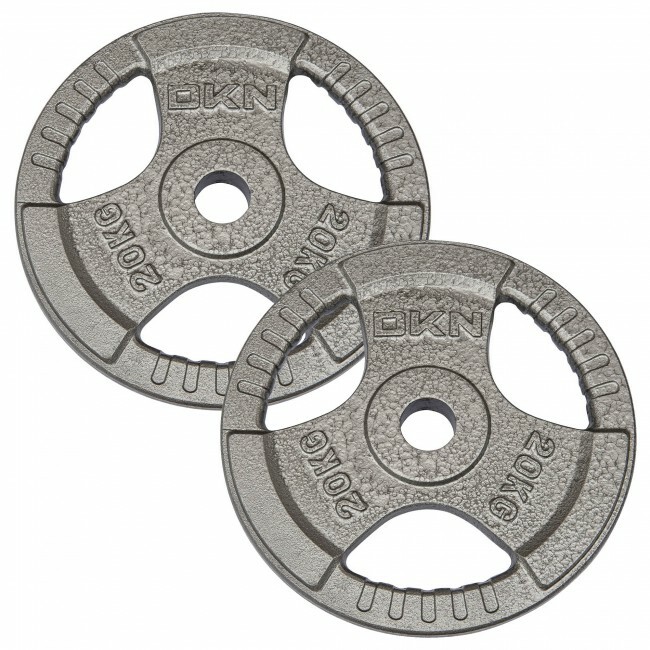 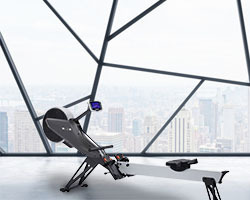 The plates are built to last and can be used in free weight exercises due to their tri-grip design that makes plate changes much faster. 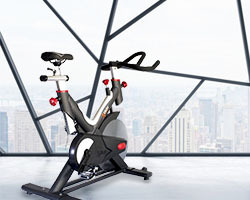 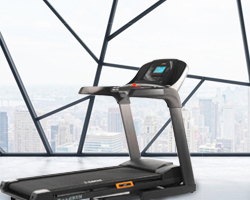 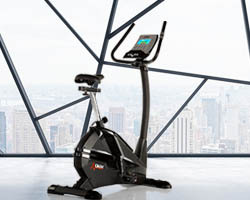 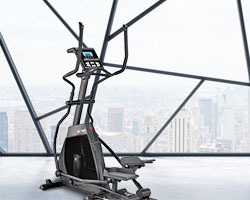 They are suitable for both home and commercial environments.